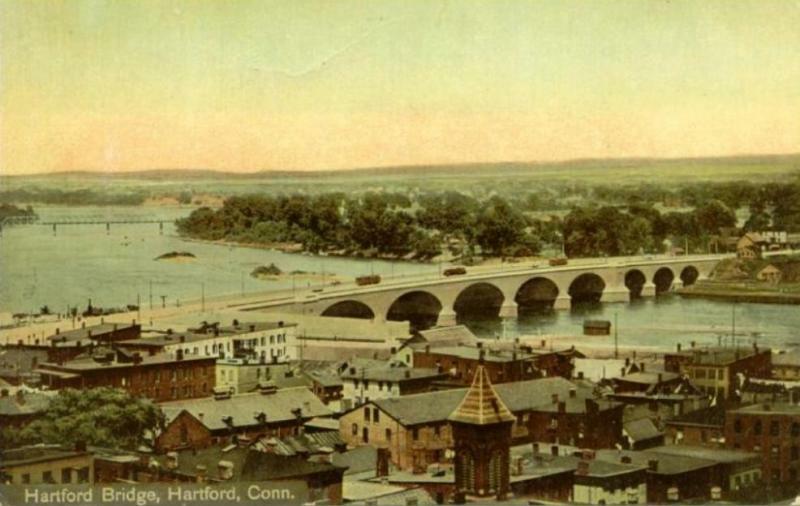 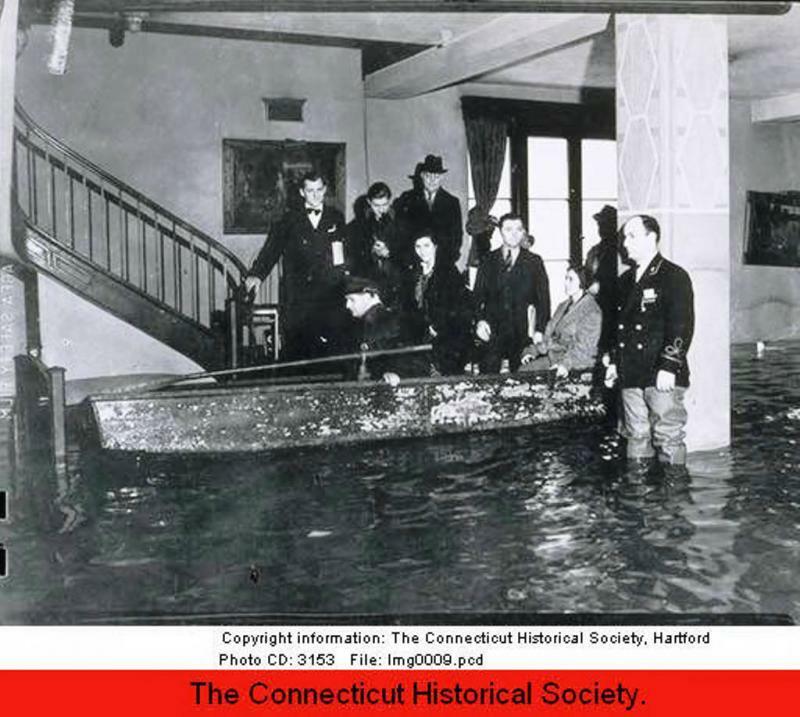 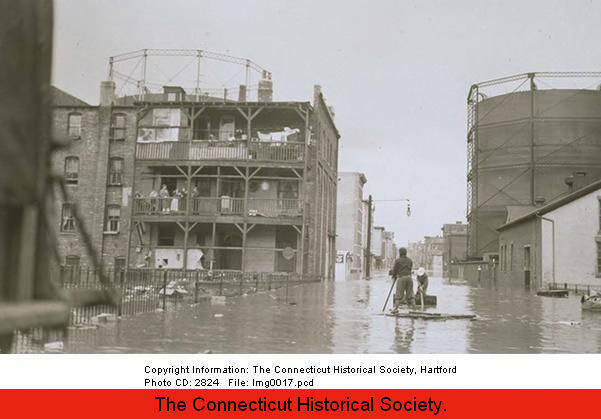 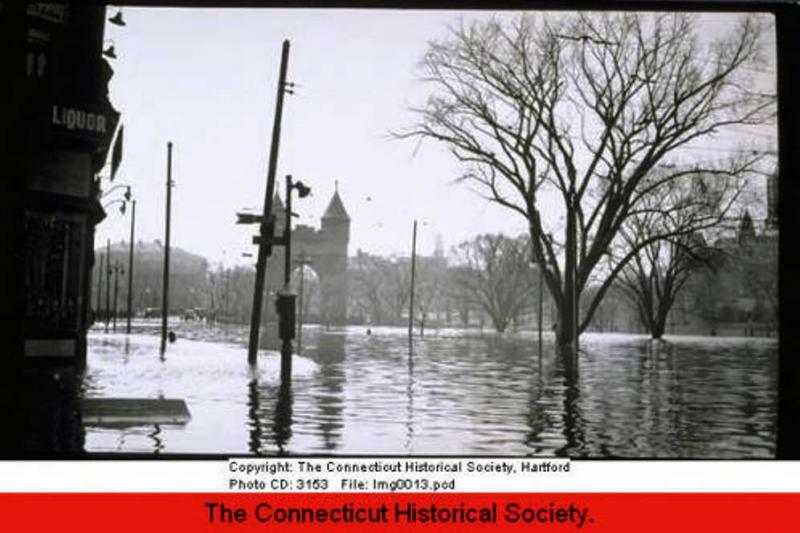 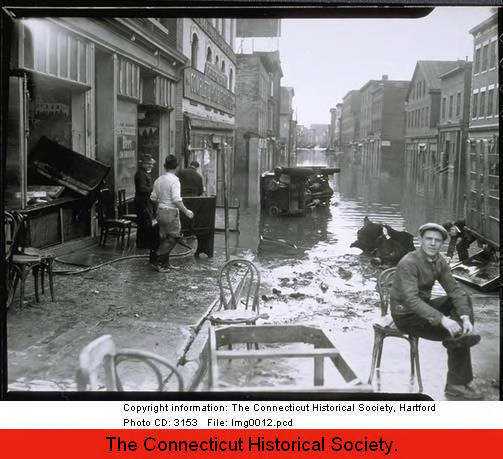 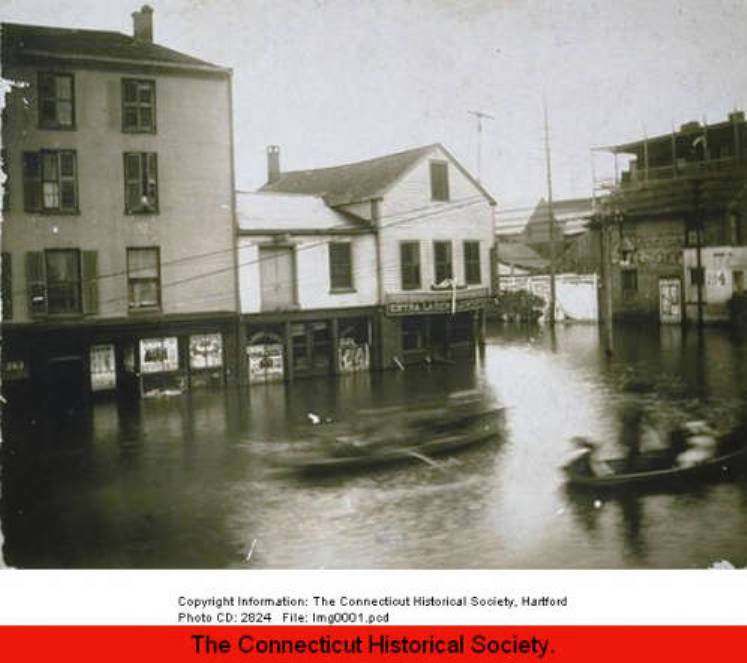 The East Side of Hartford, which included Front Street, was subject to flooding from the Connecticut River which ran just a few hundred feet away! 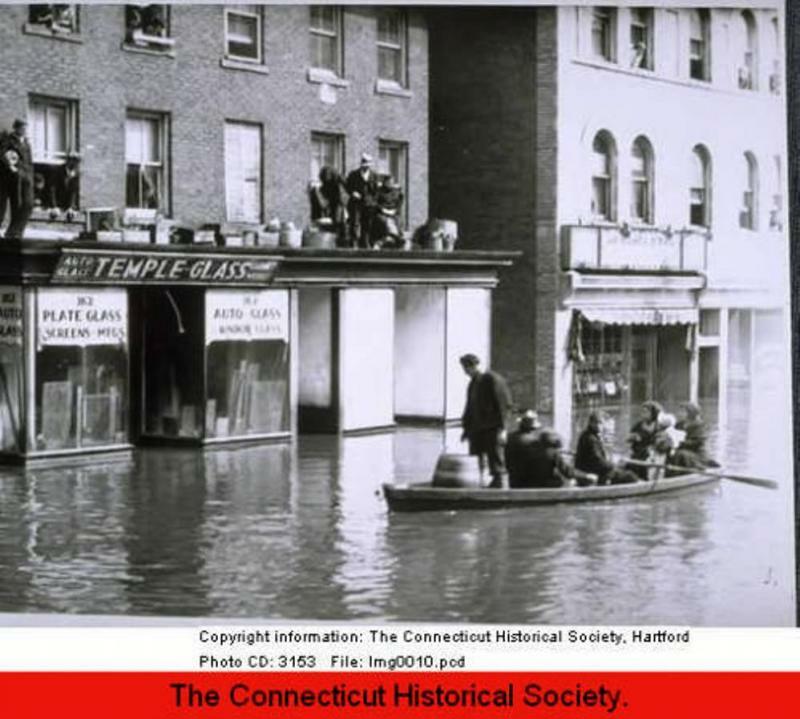 No protective walls or dike had been built since the city was founded! 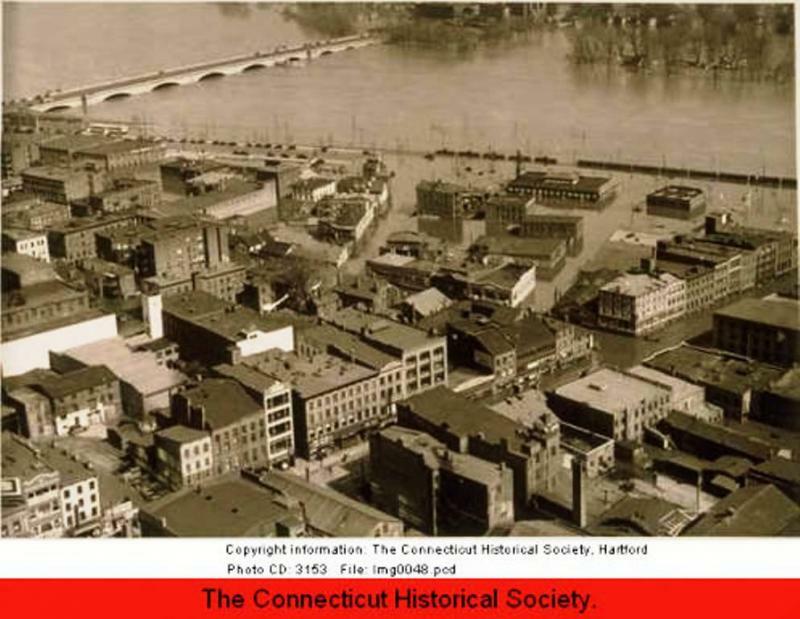 This first picture gives you a birdseye view of Hartford East Side NOT flooded! 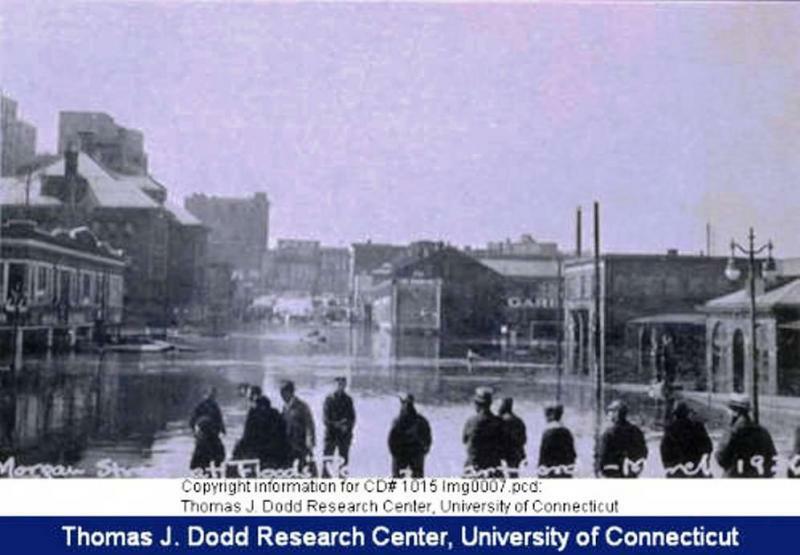 And here the approximate same view flooded in 1936. 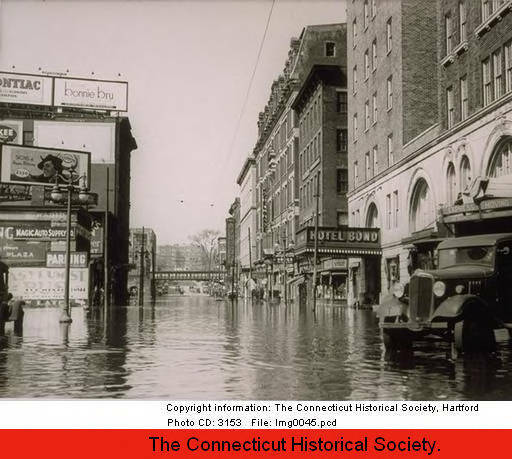 1936, Commerce and State st.
1936 flood, lobby of Bond Hotel!